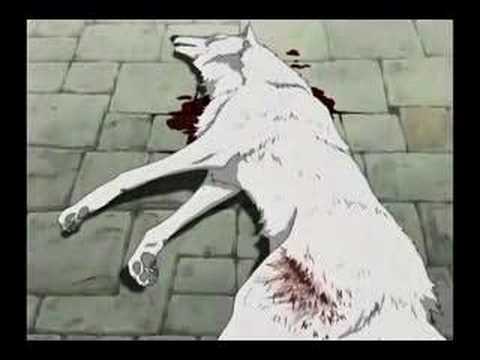 wondering around he made his way to a funny looking lab building, sniffing his way for food he catched the sent of blood which only lead to a caged up bleeding white wolf "Um hey you dont look so well" he said a bit concern yet with a smiling look in his face as he looked at kiba. 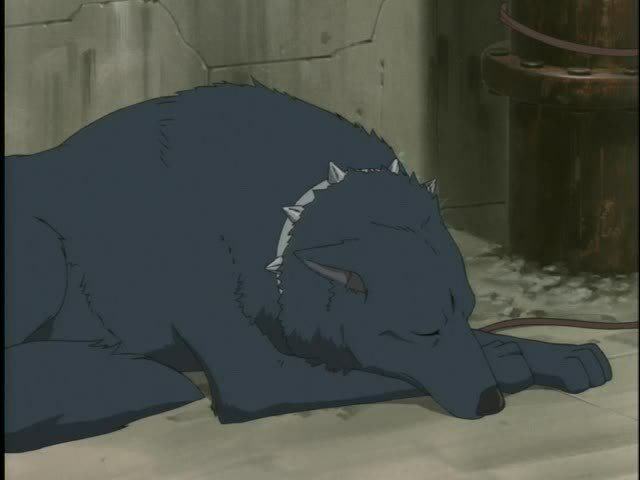 Kiba remain to be resting in the lab area while he was sleeping his ear twitched a bit. He could hear and smell the Flower maiden who he hasn't seen yet. That gun shot hust a lot but he could over come it stinging pain. blood was all over the bottom of the floor of the cage which imprisoned him. Hearing a voice he opened his eyes a bit. 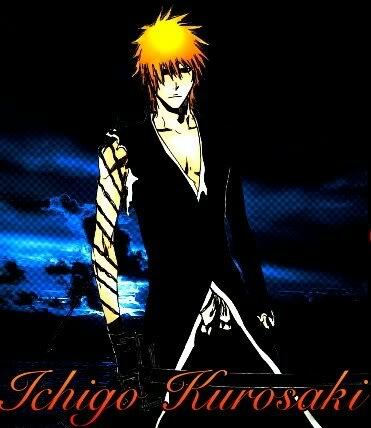 Hige continues to stare at kiba "You know this wouldnt of happened if you kept your human form lots of people are scared of us when we are in our normal appearence" crouches down to see him as he smiles. 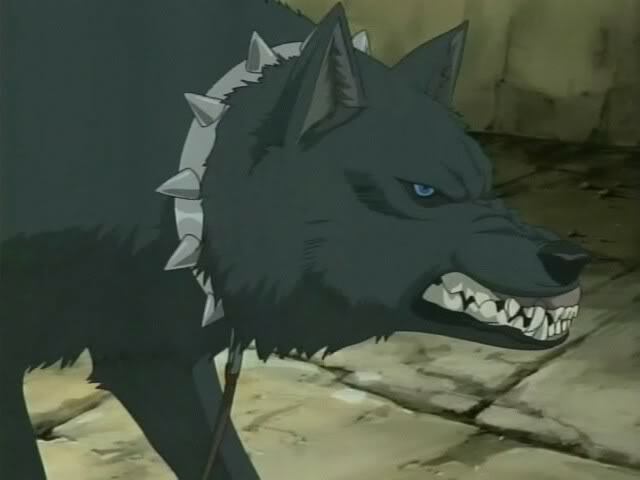 Kiba looked at him. "I can get out of here whenever I feel like it" The white wolf said to the tanish one one coldly. "uh hu..So why are you in here" said once again smiling. 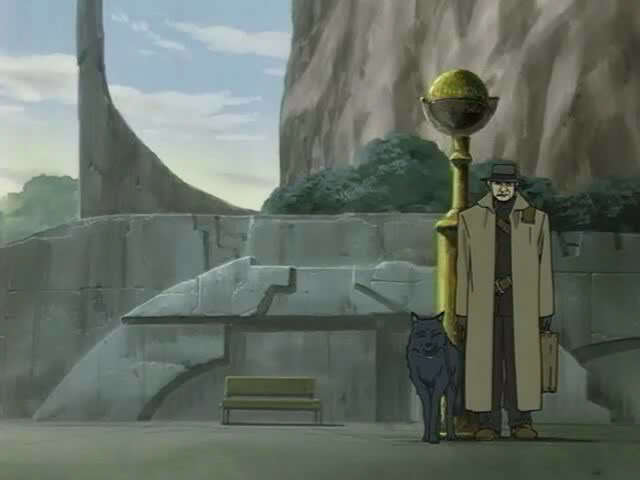 "I just needed to rest is all...so why are you hear anyway" Kiba asked him. 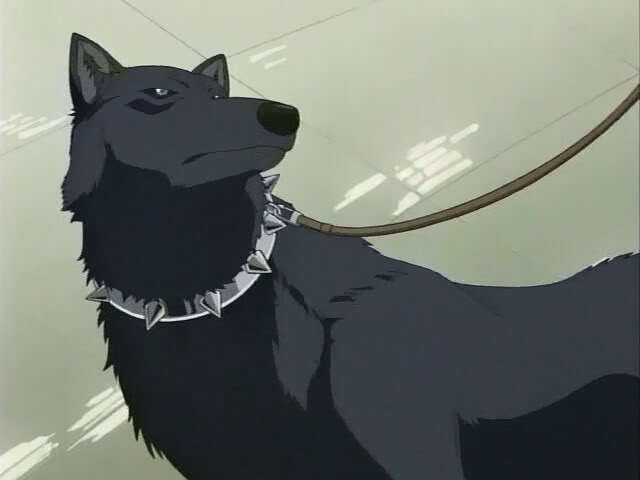 "What's wrong with you blue, you don't go and start chasing after kids. 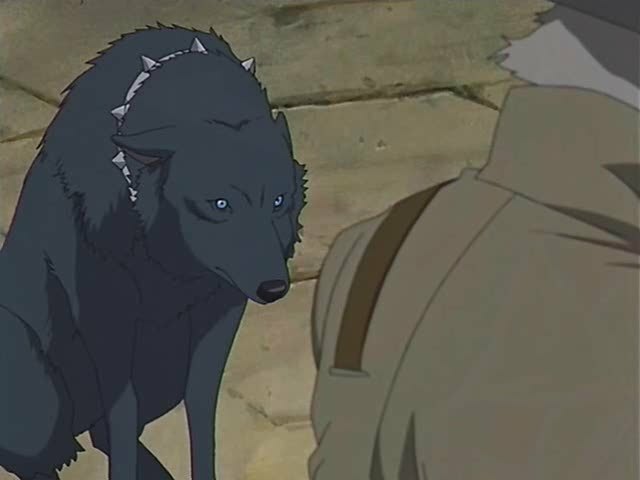 We hunt wolf because there evil whenever they get a chance they kill you," the man explains to blue while she looks at him sad that he does not understand that the kid was actually a wolf. "Meh I usually follow my nose and i end up in the weirdess places, oh btw i am hige" still smiles. "That's not your true form...why do you hide yourself" The white wolf said again coldly. "So i do not end where you are...these people are terrified of us so...if we look like them..they pretty much leave us alone"
"Your living a lie just so you can die a miserable death in this city"
"Gotta do what you can to survive right?...keep looking like that and you will be back here in no time...it draws too much attention"